High Horse, one of the newest hospitality collectives in Las Vegas, recently opened a new pizzeria paying tribute to iconic motorcycle daredevil Evel Knievel. 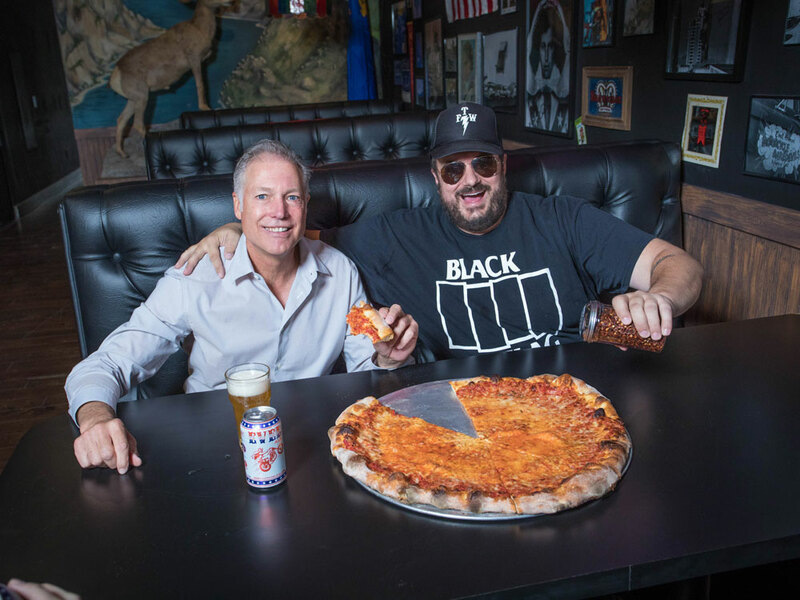 Located on East Fremont Street in Downtown Las Vegas, Evel Pie features craft beers, cheap cocktails, and a wide variety of pizza options. High Horse’s Branden Powers and Knievel’s son, Kelly Knievel, took time to chat with us about their new project and Evel’s legacy in Las Vegas.